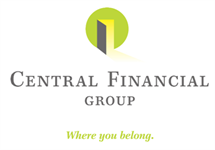 A lifelong resident of Fort Dodge, Iowa, Steve Heddinger became a partner with Central Financial Group on August 1, 2007. Since 1984, Steve has been dedicated to helping his clients build and protect wealth by providing quality products, strategies and services to his clients. In his time away from the office, he is an active outdoorsman and enjoying hunting and fishing. He is also and advocate for giving back and is involved in many community activities. He and his wife Deborah enjoy camping, traveling and spending time with their children and grandchildren.